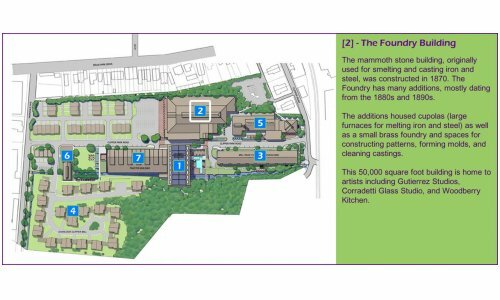 The mammoth stone building, originally used for smelting and casting iron and steel, was constructed in 1870. The Foundry has many additions, mostly dating from the 1880s and 1890s. The additions housed cupolas (large furnaces for melting iron and steel) as well as a small brass foundry and spaces for constructing patterns, forming molds, and cleaning castings. 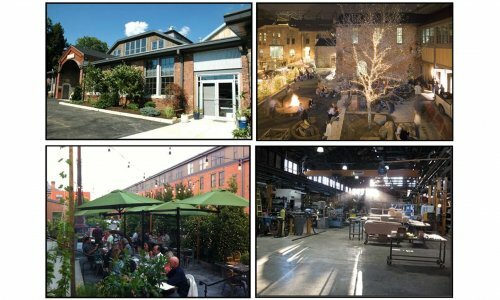 This 50,000 square foot building is home to artists including Gutierrez Studios, Corradetti Glass Studio, and Woodberry Kitchen. JRS Architects specializes in churches, schools and institutional projects, including new construction, renovations and adaptive reuse. The labyrinth at the Amaranthine Museum is a stunning view of the mind and work of artists through the ages as envisioned by Les Harris. In this intricate dramatically lit labyrinth of art, visitors wind through a maze of meticulously placed walls covered floor to ceiling in Les Harris’ unique and vibrant paintings. Starting October 18 the amaranthine museum will be open Saturdays and Sundays from 3-5pm, and weekdays by appointment for groups of five or more. We produce, shoot and edit Beautiful and Useful branded marketing films for the web. Through video, we show the essence of a company or institution with authenticity and tell its on-going story to bridge the gap between corporation and audience. Linda Bills is a studio artist. Landscape and the natural world is a common reference in her both her three-dimensional and two-dimensional work. Her work includes sculpture and installation as well as prints, drawings and an ongoing digital image photo journal. 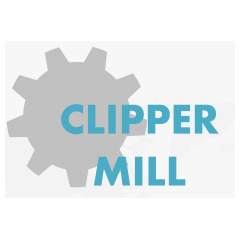 Part of the Clipper Mill community for over 30 years, Paul Daniel is a sculptor whose focus is on large scale and small scale kinetic sculptures. Movement is an integral part of all his work. In his Clipper Mill studio, Paul conceives designs and fabricates these pieces. Along with private collections, many of Paul’s sculptures can be seen in public places throughout the region. La contessa by Mary DeMarco has been handcrafting pewter jewelry and tabletop giftware for over 26 years in Hampden. Each piece is embellished with semi precious stones and Swarovski crystals and has a nature theme such as birds, bees, and owls. We first carve the model and then hand cast it in pewter. We use various jewelry techniques such as soldering, wire wrapping beads, and setting stones to make our beautiful pieces. La Contessa sells to Galleries, Botanical Gardens, and Specialty Boutiques throughout the Nation and a few stores in Japan. LA TERRA GIFT IS GALLERY NOW OPEN in Clipper Mill! Please call for hours. Corradetti Glass creates one of a kind hand blown art glass, production pieces and commissions. The studio includes and beautiful retail space filled with dazzling glass in an array of colors and shapes perfect for gifts or personal collections. Classes in glassblowing, studio time rental and private lessons are available. Tour groups and schools are welcome (contact studio for fees), and everyone is invited to stop by and observe this ancient and amazing art form. Woodberry Kitchen is a farm-to-table restaurant featuring the seasonal best from local growers. Our goal is to nourish and delight our guests with cooking that is grounded in the traditions and ingredients of the Chesapeake region. Our event space, Woodberry Hall, seats up to 50 guests for dinners, receptions, or meetings. Gutierrez Studios is a company of dedicated artisans providing architectural metalwork, furniture and lighting for the construction industry, design professional and private client. Their full range of services includes project design, product engineering, fabrication, finishing, installation and maintenance. Visit their website to view select projects.